GAP: How many years have you been farming and developing your farming and company philosophy? Stuart: At Joyce Farms, we’ve come a long way since Alvin Joyce began selling chickens in 1962. With time, our knowledge of raising poultry grew. We found our passion in producing the absolute best tasting chicken. We found our customers appreciated something better, more flavorful than commodity chickens. We wanted to supply the top culinary markets with the taste, texture and culinary advantages of superior birds. But we didn’t stop there. The more we learned about culinary matters, the more we traveled the world. We realized that Americans were missing out on a rich array of culinary class poultry. So we began to focus on Old World breeds, reviving traditional raising methods and producing specialty poultry and game of the highest quality and flavor. 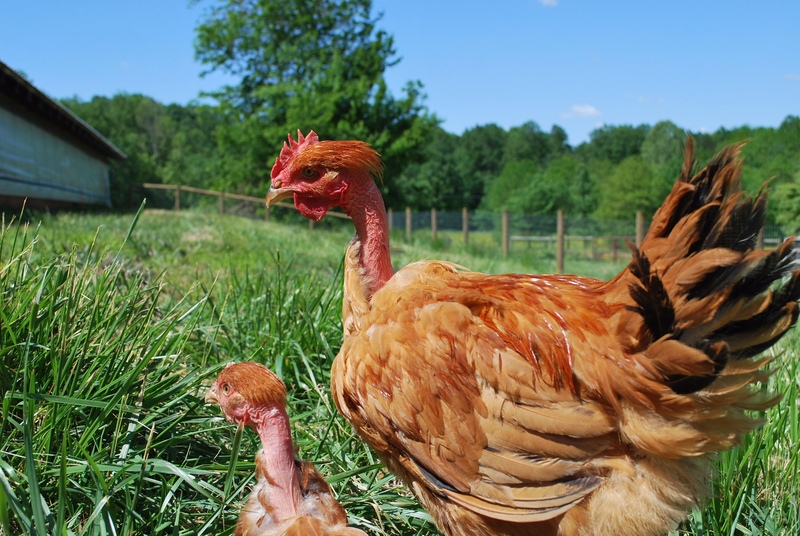 GAP: What made you choose to raise the Poulet Rouge breed of chickens? Stuart: In 2001, Ron Joyce was determined to find something better than the white- feathered commercial chicken typically grown in the US. He wanted to offer Americans something different, the best tasting chicken. After a long search, he landed in France and was introduced to the Poulet Rouge and Poussin. These birds and their raising practices are regarded as the best in France and throughout most of Europe. The Poulet Rouge and Poussin (a poussin is a young Poulet Rouge harvested at 6 weeks of age) are a slow growing, red-feathered Naked Neck chicken that thrives in an outdoor environment. The Poulet Rouge takes 12 weeks (84 days) to grow which allows the chicken to grow and develop. Our birds are 100% air chilled, and never dipped or sprayed with chlorinated water. 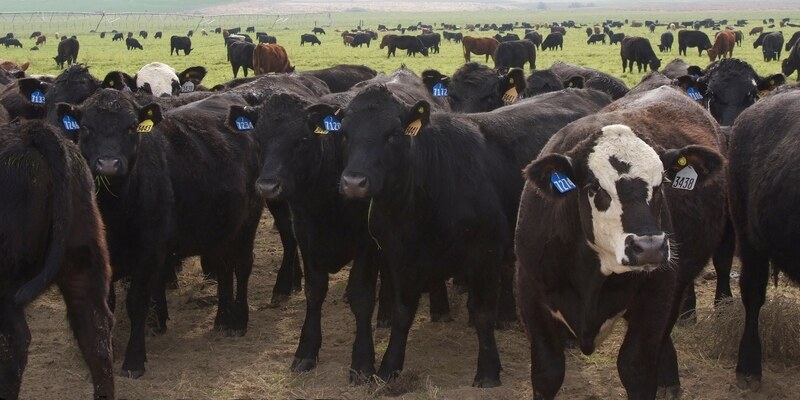 GAP: What inspired Joyce Farms to get involved with the 5-Step Animal Welfare Program? Stuart: We partnered with GAP because it fit with our philosophy and culture. Nearly all the chickens grown and processed in America, even organic chickens, are a fast growing, commercial breed that are grown on commercial farms. We would like to see that change. We also like that GAP is willing to learn about our unique operation and help promote animal welfare throughout the industry. GAP: What makes you proud of the work you do? Stuart: We are proud to partner with 4 and 5-generation farmers who have lost their contracts with larger poultry producers due to the small size of their farms. These older, simpler houses and farms are perfect for our philosophy and mission. We are able to bring these farms back to life and in many cases; the income has allowed these families to remain on farms that have been in their families for generations. GAP: Any words of wisdom or advice you want to share with new farmers? Stuart: If you are thinking about farming, find out all the information you can about the products you are raising. There is a lot of confusion and misinformation out there. Don’t be afraid to do something different. Since GAPs interview with Joyce Farms in April – Ron Joyce has continued to spread the message of positive animal welfare, education, and farming innovations to consumers nationwide; including his exclusive use of Poulet Rouge chicken genetics! Check out his latest interview “Notes from a Farm: Chicken Lovers Re-Joyce“ with The Local Palate magazine! Global Animal Partnership is registered as a 501(c)(3) non-profit organization and brings together a diverse group with the common goal of improving farm animal welfare standards around the world. Donations to Global Animal Partnership are tax-deductible to the extent permitted by law. Tax ID 20-2234609. © 2019 Global Animal Partnership. All Rights Reserved. Site by Leeway Creative.